On the 16th August, a new book exploring the extraordinary history of Dartmouth is launched. The book is a richly illustrated addition to anyone’s coffee table and is researched and authored by Joslin Fiennes who has already been interviewed by this magazine (see May 2013 issue) about her illustrious international career as an economist. 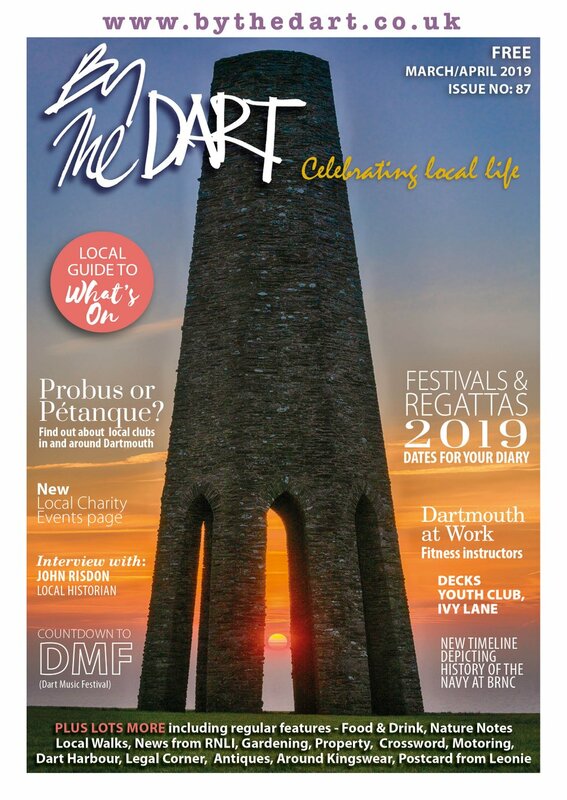 Painting and sculpture, poetry and adventure, the present and the past, the local and the cosmopolitan; all belong to this exploration of the Dartmouth area. Although Joslin’s career has focused on international economics, the book is a return to writing for her. Early jobs included a stint as sub-editor for Punch and assistant editor for The Journal of Modern African Studies, when living in Tanzania. While in Botswana she published short stories, principally about Africa. In this exclusive interview, she talks to Phil Scoble about how the book came about and what discoveries the reader will make. Joslin has spent 18 months painstakingly bringing together her story of the art, writing and entrepreneurship that has been inspired by Dartmouth and its river. She shows me a magnificent image of a face carved rather crudely into a pillar of St Clements church. Joslin has immersed herself in the modern scene and its social and political history – and clearly has a passion for what she has discovered. She tells not only the story of modern artists and writers and those who have lived and worked here, but of the merchants, inventors, smugglers, Royals and the military. You can read it as both an artistic and social story. Within each chapter, the images are mostly contemporary to the period of the text, whether modern or historical. So the stunning book, which uses its large pages to full effect, not only creates a visual story of the area via the art it has inspired, but also tells about the change of art style over the centuries. This idea is used in the new hanging of the galleries at Tate Britain. Joslin has travelled far and wide during her research and managed to unearth new, alongside well-known, treasures. 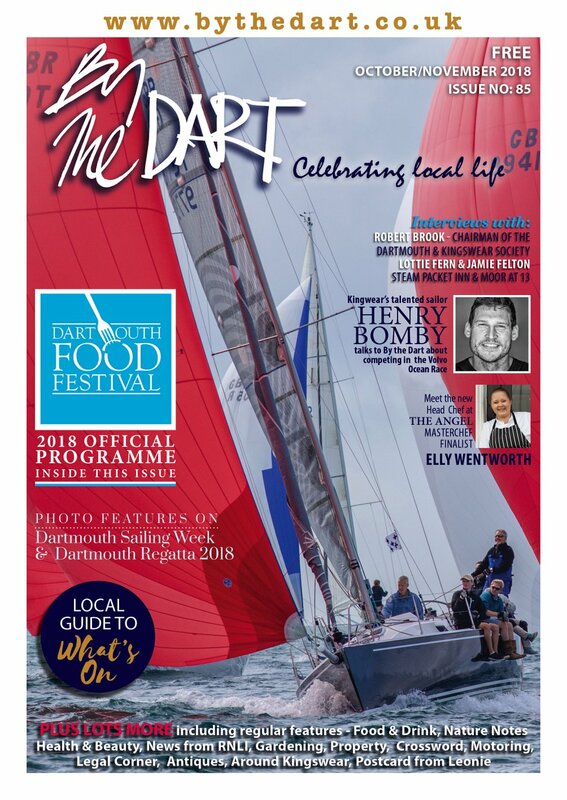 The book features not only the artists inspired by the Dart and their work, but also the novelists, writers and poets who have worked or written about the town. Some surprising names instantly jump off the page: apart from the widely known Agatha Christie and Flora Thompson, there is also Nevil Shute and Robert Graves – both of whom wrote some of their most acclaimed work either about Dartmouth or whilst they were staying on the river. The book features beautiful photography of the Dartmouth area. Joslin says she was delighted with the way the book looks. ‘Dartmouth: An Enchanted Place’ is published on August 17th by the Antique Collectors Club in association with Richard Webb and will cost £35. 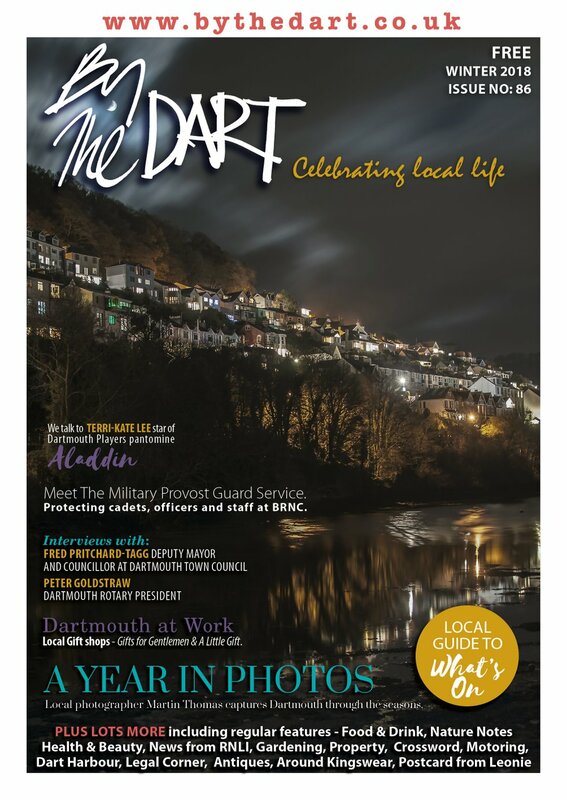 It is available for sale exclusively in Dartmouth prior to national publication from the Dartmouth Community Bookshop (01803 839571) and White Sails Gallery (01803 832272).